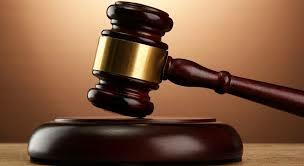 A Bulawayo businessman who claimed to be a tout at a long distance bus terminus to avoid paying maintenance for his two-year-old daughter, was ordered to produce his bank statement by the Bulawayo magistrate. Lethu Phelela appeared at the maintenance court before Ms Leona Kawadza with an invalid bank account to buttress his claim that he was just a tout finding it hard to make ends meet. Phelela was dragged to court by his estranged mistress Ms Pauline Matseketsa who was claiming $250 for the upkeep of their child. Matseketsa claimed that Phelela owns Majamula Bus Company with a fleet of buses plying the Binga route and Good Hands Funeral Services. She also told the court that Phelela told her that he has accounts with foreign banks. However, Phelela refuted the claims. He also denied running a bus company or a funeral parlour. Phelela insisted that he is a mere tout earning $200 a month and offered to pay $50 for the child. “I don’t own any buses and a funeral service. I am just a tout. I work three days a week each day getting paid about $15. I never told her that I have a company. She saw me touting and thought those buses were mine,” said Phelela. When he was cornered by the magistrate, he rebutted his earlier claims. He admitted that he owns buses but they were all broken down. Phelela also said he is a director at the funeral parlour which belongs to his wife. “I used to own buses, not anymore. All my buses are down. I’m a director at the funeral parlour which belongs to my wife with just 20 percent stake in the company. I don’t have a bank account with any bank,” he said. Phelela kept on changing his statements prompting the magistrate to issue a court order that Matseketsa will take to every bank enquiring if he or his company have any account with the financial institutions. She will also take the order to the Deeds Office to establish the man’s shareholding in the funeral service company.